A single mother of three, who was made redundant after a 15-year career, has landed her dream job after just one year of training. 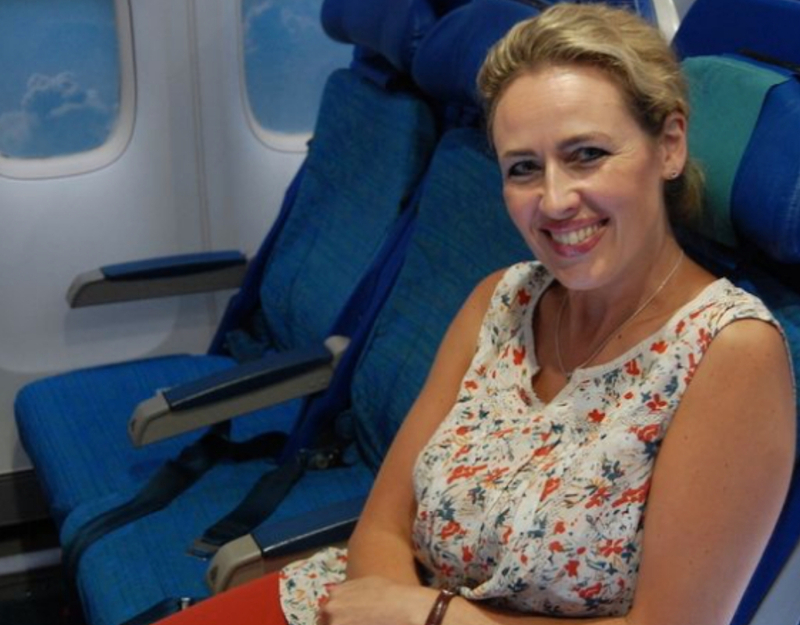 Joanne Corbett, 44, from Hartlepool is now flying all over the world with Thomas Cook Airlines after studying an NCFE Level 2 Certification in Introduction to Cabin Crew at Hartlepool College of Further Education. Joanne said: “When I first started thinking of coming to the College to study to be Cabin Crew it was in response to big changes at work. “I approached Nicola, one of the lecturers in Travel and Tourism at the College and asked her what was available. The initial step was to just start on the course and take it from there but soon found it was something that I really enjoyed. Eventually Jo accepted redundancy before focusing full time on achieving her dream by applying for jobs as Cabin Crew. Jo said: “I had a couple of interviews but didn’t really think I would get anywhere. Then around February I got called in and offered a job to begin in April. It was such a smooth transition you wouldn’t have been able to write it. “I haven’t really come down from the adrenaline yet. I’ve just kept going and I haven’t had time to think. It will probably dawn on me at 52,000 feet one day. “The training I undertook was absolutely gruelling. It was five weeks of long days at Newcastle Airport, but I really feel my time at the College was fantastic in preparing me for that training. “It gave me a good grounding and a lot of the course content was specific for what I would be doing. I didn’t feel too threatened about going into the training just because of all of the background I already had. It built my confidence so much. Jo, concluded: ““It’s a dream come true. I tell people when they ask what it’s like and how they can change their careers to just go for it. If I can do it, anybody can do it. I don’t know why people stop themselves. Just take the opportunity.